For its latest artistic collaboration Louis Vuitton has called on a major figure in contemporary art, New York-based artist Jeff Koons. 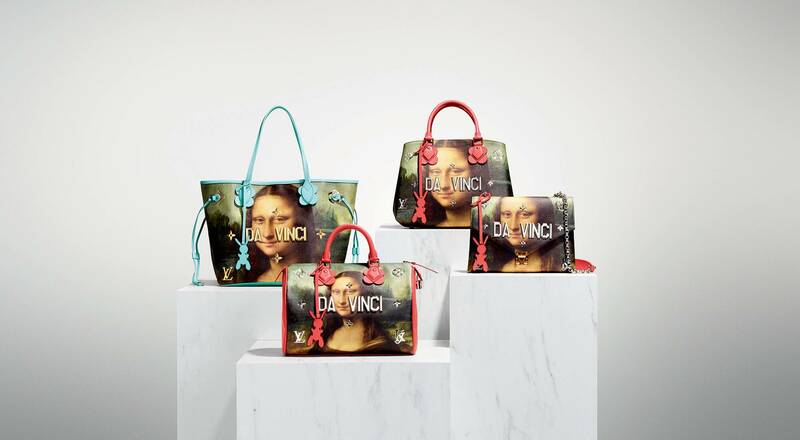 Masterpieces by Leonardo de Vinci, Rubens, Fragonard and others have been transposed on a new collection of bags and accessories called The Masters Collection. After previous collaborations with artists such as Takashi Murakami, Stephen Sprouse and Olafur Eliasson, Louis Vuitton has chosen Jeff Koons to create a new collection. Renowned for his monumental metal works, the artist has transposed paintings by masters such as Léonard de Vinci, Titian, Van Gogh and Rubens on bags and accessories. In choosing works that are part of the collective memory, the Masters series invites a fresh look at these masterpieces, taking them outside the museum and into the world. Jeff Koons has also revisited the iconic Louis Vuitton Monogram with elements in metal placed on the exterior of the bag along with the artist’s signature, a first for the Maison. Each bag also has a tag in the shape of the artist’s famous Rabbit motif. A biography and portrait of the Master whose work has been referenced are found inside the bag. Louis Vuitton has taken its savoir-faire to new heights to flawlessly reproduce the artworks on the accessories and canvas of the Speedy, Keepall and Neverfull bags. This collaboration is the first chapter in an ongoing project that celebrates Louis Vuitton’s multiple connections with the history of art.